The following guest blog comes to us from Kate Began of Polycase.com. The year 2013 doesn’t feel like it’s all that far in the past, but to Amazon, it might as well be ancient history. That was before Alexa, before Whole Foods, long before HQ2. The company was certainly already a titan of industry, but it hadn’t quite yet achieved the world-conquering status it’s known for today. That probably makes it all the more frustrating for Jeff Bezos that Amazon’s drone delivery program, which he revealed the existence of in a 2013 60 Minutes interview, still has yet to get off the ground. With every year that passes, the retail industry and the world wonder anew why the drone service, called Prime Air, still hasn’t launched. Despite its years of delays, Prime Air definitely still seems to be in the pipeline. An Amazon spokesperson told AP reporters in 2018 that the company was still committed to making drone delivery a reality. Prime Air’s page on Amazon is still live, although it hasn’t been updated in some time. 2. 30-minute delivery is still the goal. Amazon’s ambitious 30-minute delivery target that they’ve promised since 2013 is still, as of right now, the company’s goal. However, as we’ll see later, there are several technical considerations that could make this figure a bit misleading, particularly the current technological limits of drone battery sizes. 3. The drones will fly autonomously. The video accompanying the pilot test of Amazon’s UK drone service in 2016 showed actual footage of an autonomous drone making a delivery to a customer. Amazon is choosing to rely on the power of GPS and their own collision detection systems rather than on human remote pilots. How this decision will interact with the many regulatory hurdles they face remains thoroughly unclear. 4. Five pounds is still the delivery weight limit. Anyone hoping for instant delivery of an office chair—or even a pair of bulky boots—will have to settle in for a long wait. The Prime Air website indicates that five pounds is still the maximum weight for a package to qualify for drone delivery. The combined weight of the battery, motor, electronics enclosure and rotor assembly accounts for a great deal of a drone’s weight already, leaving little room for packages. Although Amazon would no doubt love to be able to deliver heavier items, this is another area where current technical limitations make it infeasible right now. Amazon has drone laboratories in several countries, and it has tested drone deliveries in the U.S. and U.K. Just how extensive and successful these tests have been, however, is uncertain. Amazon is a notoriously secretive company, however, so it shouldn’t be too surprising that it didn’t share the results publicly. 6. No one else has pulled ahead yet, either. With Amazon struggling to get the rotors turning on Prime Air, several other companies have tried to strike first on drone delivery. None seem to have made sufficient headway yet to challenge Amazon for dominance of this not-yet-existent market, with most of them still tangled in the same regulatory thickets. The only one of these companies that actually implemented any of their plans in 2018? Flytrex, which began using its drones to deliver burgers on the greens of a North Dakota golf course. Clearly, the baby steps phase isn’t over yet. 1. When it will go live. As of right now, there’s still no real indication of when Prime Air will launch. Aside from the occasional statement from their spokespeople, it’s been radio silence from Amazon since the service was tested in the U.K.
2. What the regulatory environment will look like. Laws and regulations are still probably the biggest hurdle Amazon will have to clear to get Prime Air going. Currently, U.S. law prohibits drones from being flown beyond their operator’s sight range (also known as BVLOS flying, or Beyond Visual Line of Sight.) That’s obviously an issue for a program that has an intended delivery radius of 10 miles. FAA regulations prohibit flying drones at night or close to federal buildings, and they also limit drones to a weight of 55 pounds. That weight limit is a particular issue because of another technical challenge: Amazon still doesn’t appear to have found the battery solution it needs to make the program truly scalable. 3. How Amazon will solve the battery issue. Regulatory red tape is the biggest short-term obstacle to Prime Air, but drone battery life could prove to be a bigger long-term headache. According to some analyses, the battery weight necessary for a 30-minute round trip flight is near the upper limit of what’s possible for a 55-pound drone. (Engineers from Tesla to Toyota have been working on cracking the lithium ion battery life conundrum but have so far had limited success.) Even with advances in material technology, such as polycarbonate enclosures, the weight of the battery itself will likely continue to be a serious limiting factor. 4. Where the services will be available. 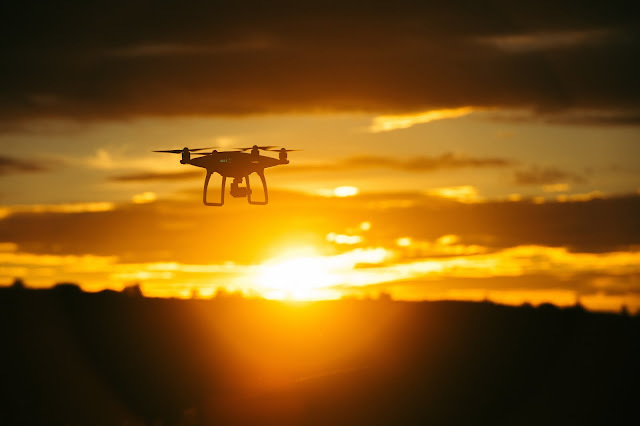 Considering that one of the most frequently-cited advantages of drones is their ability to reach rural areas, this one is actually pretty important. With each drone having such a limited range, it’s likely that the initial rollout, if and when it happens, will be limited only to certain high-density areas that already have Amazon distribution centers. Of course, that presents its own problem: How does a drone deliver a package to a person who lives in a ten-story apartment block? Like most questions about Prime Air, Amazon has yet to provide clarity on this, and all there is to do is wait and see. If you’ve been hoping and praying for a drone to deliver you bath bombs on demand, you may have to wait a little longer. And with some of the technical challenges that still remain, it may look somewhat different than you expect when it finally does launch. But, hey—it’s Amazon we’re talking about. They regularly do the impossible, and if it takes them a little while longer to ready the necessary infrastructure, the company could emerge with a stronger position when it does finally pull back the curtain.